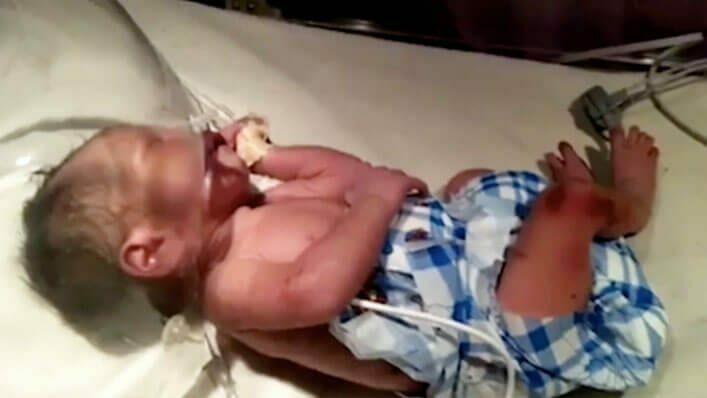 A newborn baby girl was found in a trash bin on the streets of Bhopal in the central Indian state of Madhya Pradesh on Sunday in what police suspect was a response to the baby not being a boy. Dheeraj Rathore reportedly heard the cries of a baby in the early hours of the morning when he walked past a garbage bin. “I was was shocked to see an infant’s head sticking out of a red polybag in a garbage vat among the bushes,” he said, adding that the baby was covered in ants. With the help of some friends, Rathore was able to clear the insects from the infant’s body, wrap her in cloth, and bring her to a local hospital. 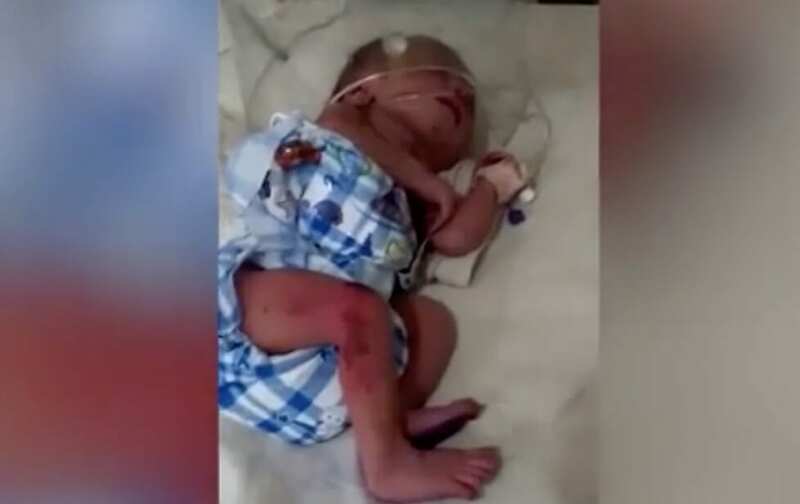 At just 3.5 pounds, doctors say the baby is severely underweight. She also has several bruises and marks on her body which indicate signs of physical abuse. 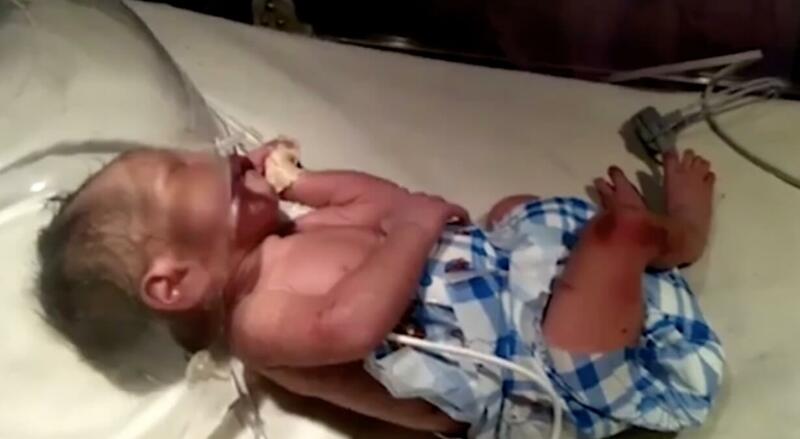 In India, the abandonment of baby girls is a rising problem. Throughout the country, daughters are often seen as a burden to their already poverty-stricken parents. But contrary to popular belief, abandoned babies are not always born to poor families. While most of us wouldn’t consider this baby girl found covered in ants to be “lucky,” sources suggest that the commonality of murdered baby girls makes her survival an absolute miracle. The Mirror UK reports that a “shocking” number of baby girls are often dumped—dead or alive—in bushes and ditches, while others have been reportedly buried alive. In the 1990s the Indian government set up what is known as the “cradle scheme,” where mothers can get rid of their unwanted babies safely outside of orphanages, police stations, fire stations and a few other government-run facilities, without identifying themselves. Baskets are fitted with electronic alarms that sound the moment a baby is placed inside. More than 4,000 babies have been abandoned by way of the cradle scheme since it started almost 25 years ago. The babies are placed in safe new homes by adoption agencies through the official Central Adoption Resource Authority (CARA), which currently has more than 14,000 couples on their waiting list. If you want to help the thousands of abandoned children in India, The Delhi Council for Child Welfare is an excellent place to start. The NGO aims to give children in-and-around Delhi a better life. Visit their website today.